An art lost to many people with the cheap alternatives in containers. 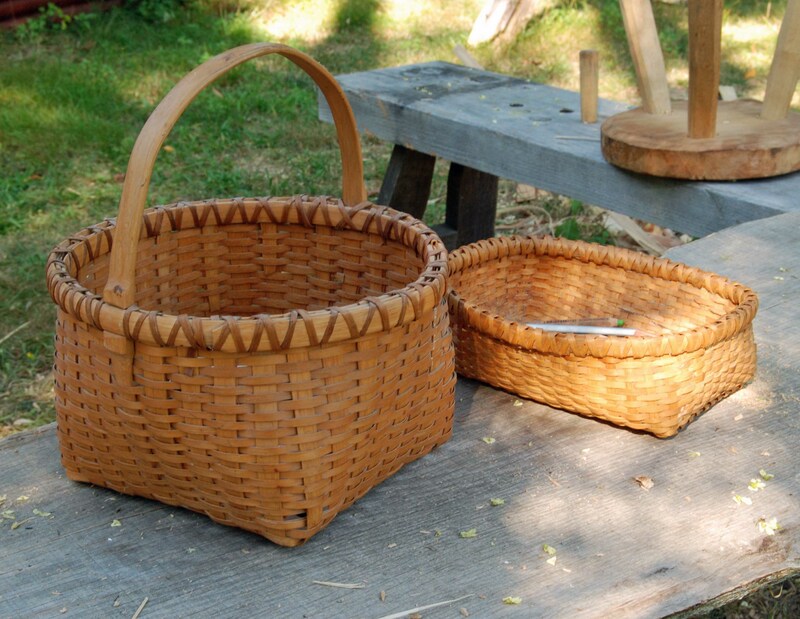 Baskets have been an important part of our toolkit for tens of thousands of years. Basket bottoms. Two of our household baskests; c. 1987-90. The one on the left is a standard item; square bottom, round top. Ash with hickory rims; hickory bark lashing. The one on the right is our colored-pencil basket. Gets lots of use. 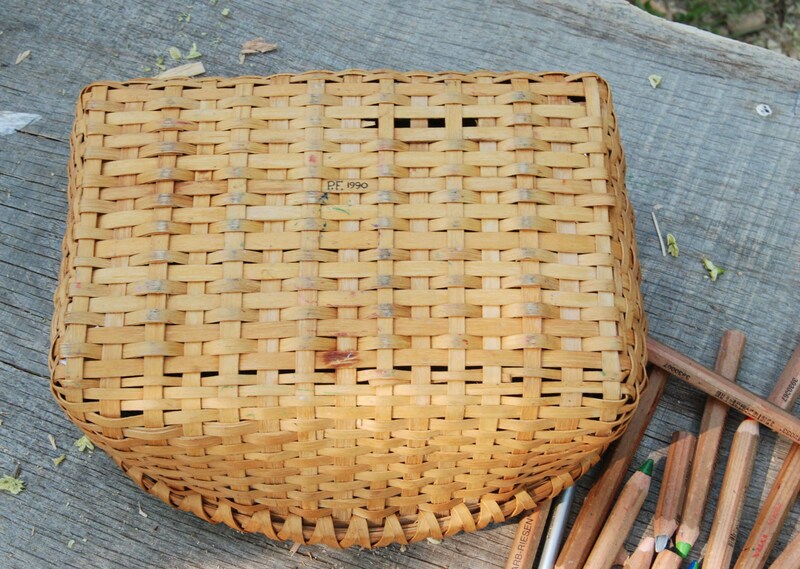 A rectangular basket, all ash, rims either oak or hickory. Here’s the bottom of the square one. Typical weave, resulting in openings between the uprights. Probably most splint baskets are like this. Here’s what I call a “filled” bottom – thin and narrow filler strips woven between the uprights. 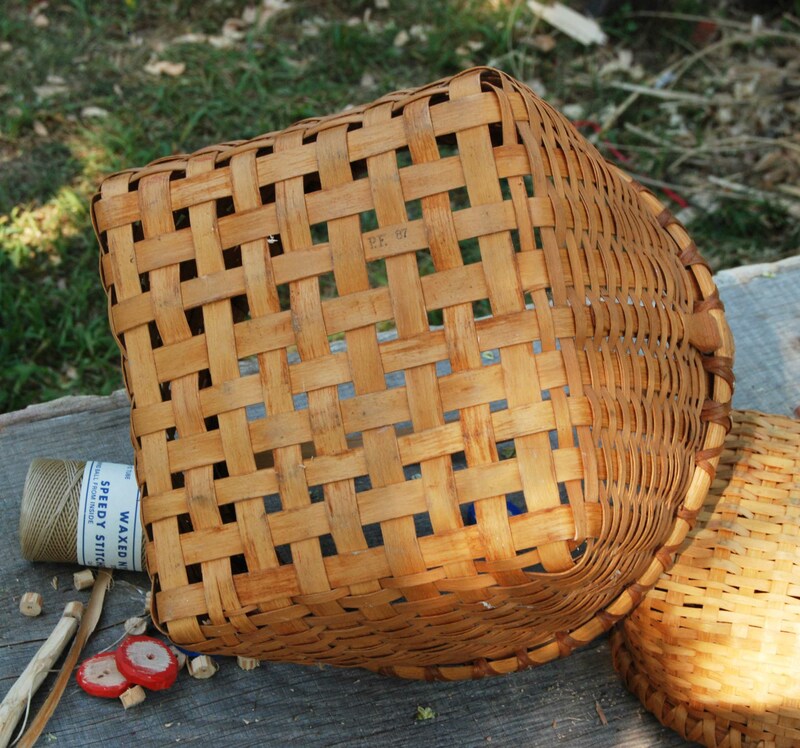 The filled bottoms of baskets are made a few different ways. 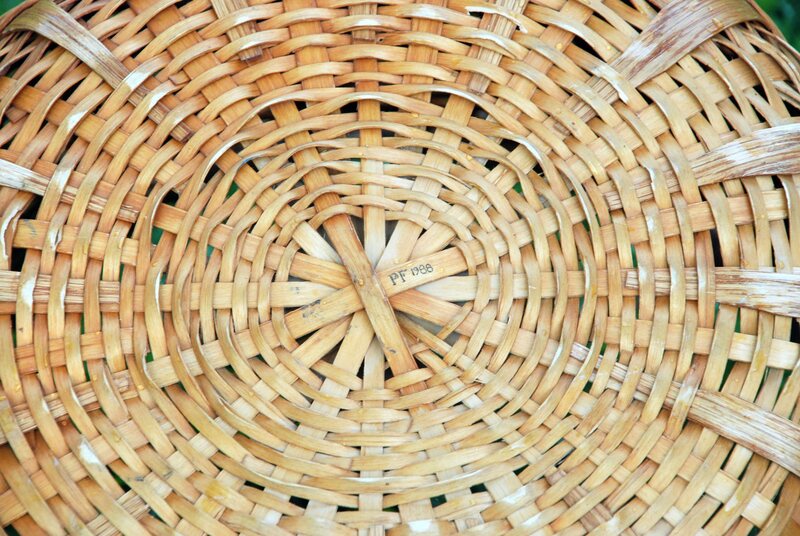 One is to make a round basket, with “spokes” laid out to form the bottom and sides. I do these with 16 uprights; laid out in 2 batches of 8 spokes. Here’s the underside of our laundry basket; showing this spoke bottom from below. Hello Paleotool. I am contacting you to find out where you call home in the world. My family lives in Ashland Oregon area for now. We have a lot in common, it would seem. 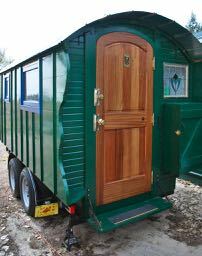 Currently, I am located in New Mexico and hope to relocate to Oregon very soon. I just spent a month in NW Oregon and SW Washington. My daughter is in western Oregon, my friends are in Salem, Portland, and Eugene areas. Seems logical to make it back up there soon.